FRESHIE KIT Derby Starter Package 2 – A Great Start for Roller Derby! 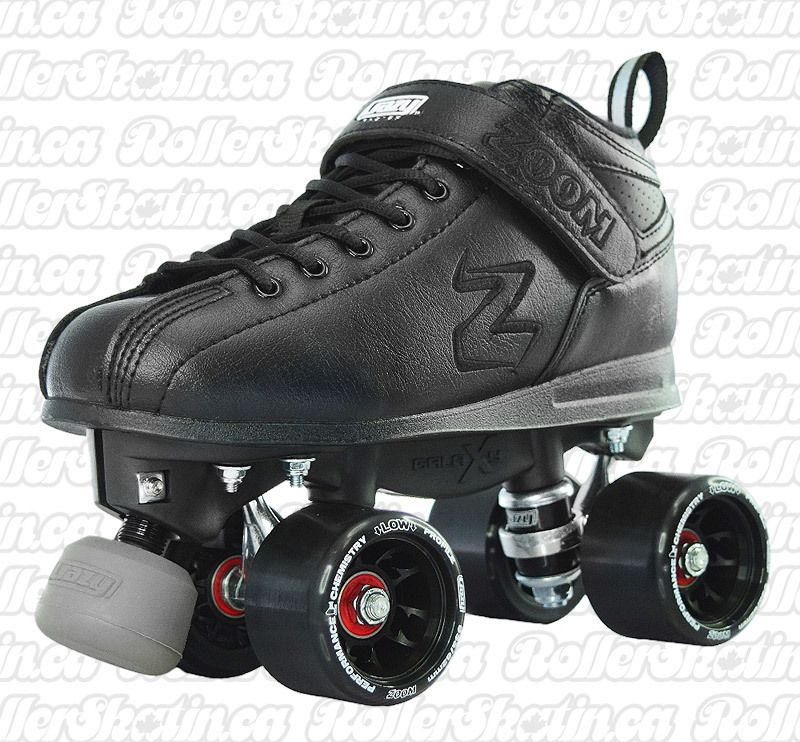 The ZOOM by CRAZY Skates is a quality built entry level skate, perfect for beginning Derby built with a wide fitting padded boot that offers plenty of toe room. The ZOOM utilizes an integrated allen key adjustable toe stop feature – usually only seen on higher end more expensive skates! Includes the CRAZY GALAXY durable Nylon plate, metal trucks, non-marking BOOST toe stops with 91A wheels and ABEC 5 bearings. A Quality starter skate compared with many others out there for anyone just learning to skate or trying out Roller Derby for the first time and on a limited budget! The CRAZY ZOOM is sized in EURO sizes with rough equivalents to standard US sizing. Please refer to the sizing chart below. NOTE: The measurements indicated are the length of the actual insole, your foot should measure approx. 4mm less than the insole. However, for BEST ADVICE on choosing the right skate size, please measure your feet according to this guide and indicate measurements in the NOTES section at Checkout. 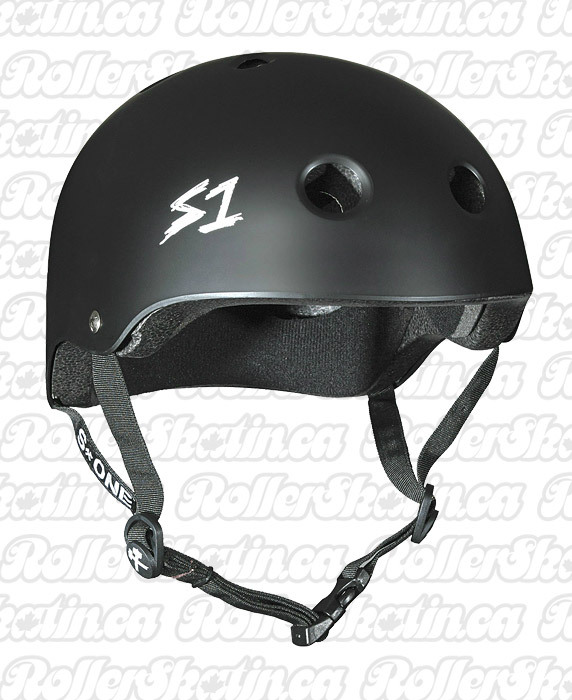 We will confirm by reply email with our Best Advice on which skate size to ship to you :D.
The S-One Lifer Helmet is one of the best fitting and safest helmets for Roller Derby. The S-1 Lifer Helmet is a Dual Certified Helmet which means it is ASTM Certified to protect your head from multiple low impacts and it is CPSC Certified to protect your head from the single high impacts. The Lifer Helmet is a Certified "multi-impact" helmet and is up to 5x more protective than the soft foam non-certified helmets. You can also upgrade to the The S1 Lifer Helmet W/ Visor Gen 2. The Visor helmet version comes with a high impact protective polycarbonate clear or Iridium Visor face shield which assembles onto the helmet via 2 special holding screws. The visor can can also be worn on or off so when off it is essentially the same as the regular S-1 dual certified helmet. It comes with a carrying bag, visor mounting hardware and a micro fiber cleaning cloth. New features include the Patented "Cover Catcher" to allow for Multiple Helmet Covers to be worn with easy on off! SMITH Safety engineered this pad to provide as much protection as possible while keeping in mind the needs of Derby athletes. 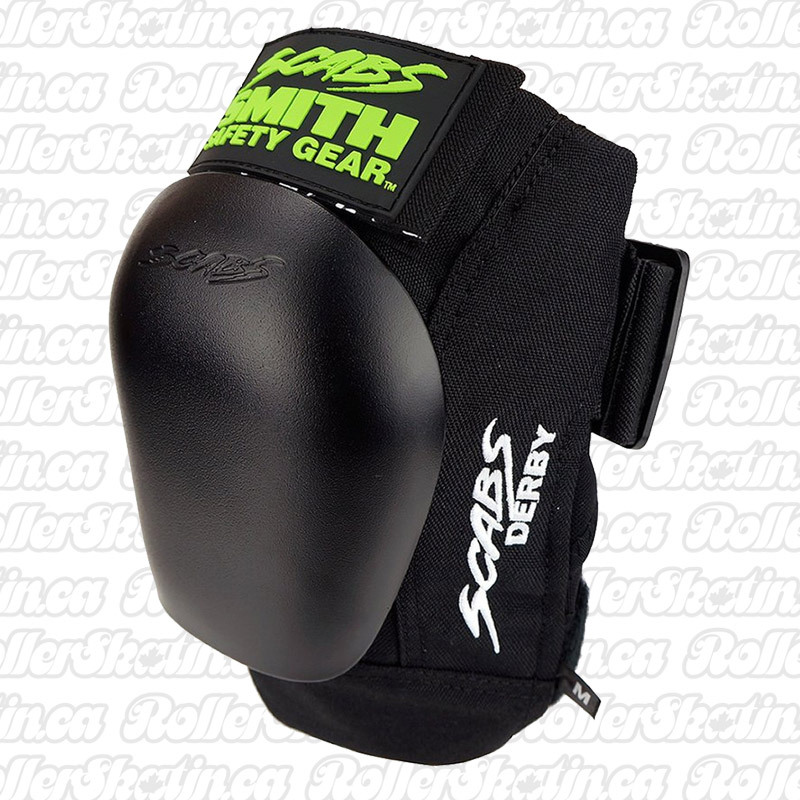 They took the excellent protection and comfort of a long-standing favorite in Derby, Scabs Knee Pads and created a leaner kneepad for starting Derby, with more features than most entry level derby kneepads out there! • Butterfly straps- A quick release system allows easy on and off. • Removable foam - This gives you the option to be able to wash those stinky lil pads! • Double strap - Top and bottom higher grade elastic straps (the famous Scabs Adjustable Top Strap SMITH has been known for since 1989!) to help secure the elbow pad so their is no movement or slippage. • Made with the top quality Abrasion resistant material to provide the best protection on the market. SMITH Scabs Kool Breathable Elbow Pads - Perfect for Derby! SMITH Safety engineered this elbow pad to provide as much protection as possible while keeping in mind the needs of Derby athletes. 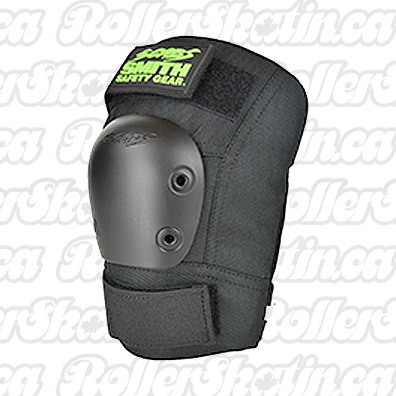 They took the excellent protection and comfort of a long-standing favorite in Derby, Scabs Elbow Pads and created a leaner kneepad for starting Derby, with more features than most entry level derby elbow pads out there! New Technology. Permanent splint top and bottom, with a wider bottom splint, provides extra support with no slippage. Slim form fitting design provides great fit & comfort with increased protection. • ESSENTIAL: Mouth Guard - if you don't have one already or don't have a friend in the dental profession that can make a custom fitting, get a SISU mouthguard - these are the BEST and most popular mouthguards for Roller derby! 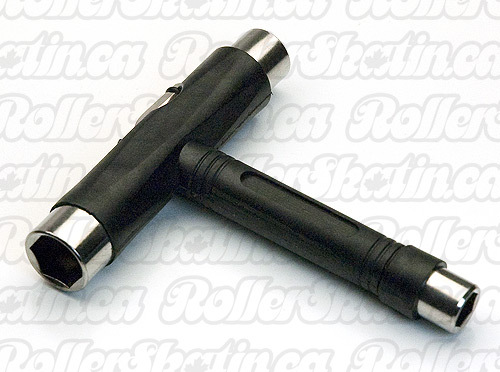 • SkateTool - to adjust your truck action, amount of 'steering' you like whether loose or tight. Also Essential for changing and rotating wheels! 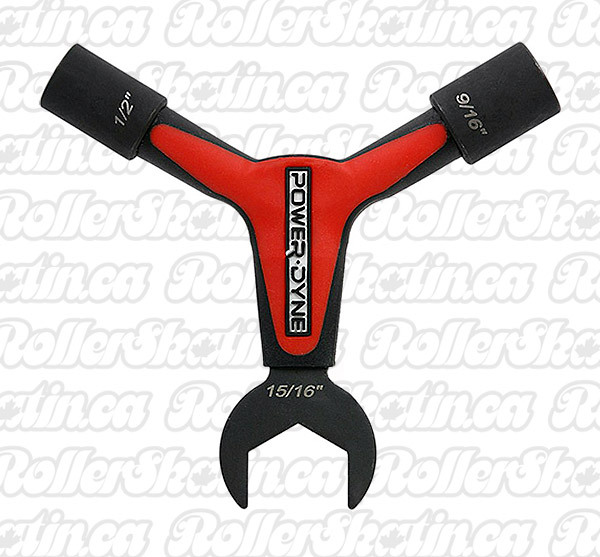 Choose the Premium Skate Tool for Action and wheel Nut adjustments OR choose the PowerDyne Y3 Skate Tool for more features like adjustment of your front Toe Stop. • KNEE PAD UPGRADE: If your Budget allows and/or if you are a heavier skater, you should consider a Knee pad Upgrade. The knee pads offered in the standard kit are quite protective and sufficient for entry into the sport, however if you can spend more on anything, spend on the knees! Select from the available upgrade path Knee pad options in the pull down menu. These are the most popular knee pads that are being used in Derby today, from Intermediate skaters to Super Star veterans of the sport!! FRESHIE KIT 1 - GREAT START Derby Starter Package! Gen. 3 S-1 Pro Knee Pads - Totally NEW Sizing - NOW SHIPPING! FRESHIE KIT 3 - GREAT START Junior Derby Starter Package!